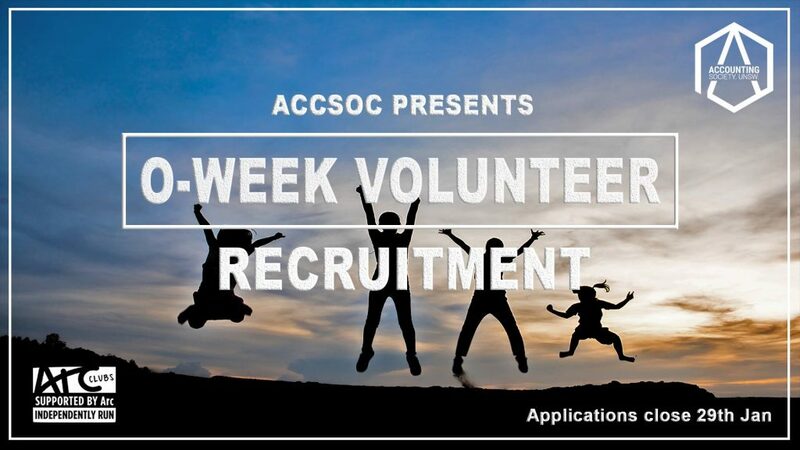 O-Week 2019 is fast approaching and AccSoc is looking for a team of volunteers to represent us! O-Week is one of the biggest and most exciting events for AccSoc as we welcome first-year students to UNSW and to our society. Aside from freebies, volunteering is also a great way for you to witness the AccSoc magic and start your journey with us from day 1. – Forge new friendships and memories! Relevant training will be provided prior to O-Week so regardless of what you study or how little experience you have, all applicants are encouraged to apply! Applications close on Wednesday 29 January 11:59 PM and are being accepted on a rolling basis – don’t miss out on this multifaceted opportunity and apply now!